Discount Hawaii Cruise - How Much Can I Save? The Los Angeles to Hawaii cruise aboard Princess Cruises’ Golden Princess offers 14 nights starting on September 26, 2012 where you can save up to 48% off regular rates. The cheapest rate on this cruise is $1,402pp and if you book soon, Princess will even throw in a $60 per cabin on board credit for selected cabins. This cruise is roundtrip from Los Angeles and stops in Hilo, Honolulu, Nawiliwili, Lahaina and Ensenada, Mexico before returning to Los Angeles. The discount Hawaiian cruise from Norwegian allows you to save up to 73% if you book now for the November 17th, 2012 cruise aboard the Pride of America. This roundtrip from Honolulu allows you two days in each Oahu, Maui, Hawaii and Kauai so you have plenty of time to explore all the islands. Prices for this cruise start at just $1,099pp. If you take this cruise on September 15th, 2012 instead, you can save up to 64%, with prices starting at only $1,449 pp. One of the last Hawaii cruises of 2012 is the one that departs Papeete Tahiti on December 28th. This 11-night cruise on Princess stops in Moorea, Bora Bora, has 5 days at sea and then goes to Hilo, Lahaina, Nawiliwili, and stops in Honolulu. Prices for this cruise start at $1,399 pp. which is a savings of 60%. 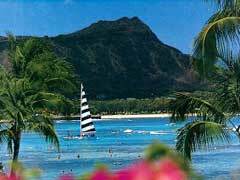 cheap Hawaii cruises can be had with savings ranging from 20-75% and beyond, depending on your cabin choice, itinerary and where you depart from. The things to do in Hawaii will keep you busy, no matter if you are only there for a day or you have two days to explore. Volcanoes, tours, airplane trips, the surf and the sandy beaches are all waiting to be discovered, whether this is your first or fifth time on the islands. A discount Hawaiian cruise can be had online or via your travel agent and remember that last minute deals sometimes will save you the most as ships are looking to fill up their remaining cabins. Finding your discount Hawaiian cruise will be the easy part, now where to visit and what to do when you are there?